﻿ An African Villa Cape Town. JIMAT di Agoda.com! Ada soalan mengenai An African Villa? Terletak di tengah-tengah Tamboerskloof, An African Villa merupakan tempat yang sesuai untuk meneroka Cape Town. Hotel ini tidak terlalu jauh dari pusat bandar: hanya sejauh 0.9 Km, dan kebiasaanya mengambil masa kira-kira 25 minit untuk sampai di lapangan terbang. Bagi anda yang ingin pergi agak jauh, african Story Tours, Kloofnek Drive, LDV Biking merupakan beberapa daya tarikan untuk pelawat. Di An African Villa, segala usaha dilakukan untuk membuatkan tetamu berasa selesa. Oleh yang demikian, hotel ini menyediakan perkhidmatan dan kemudahan yang terbaik. Hotel ini menyediakan akses kepada pelbagai perkhidmatan yang luas, termasuklah Wi-Fi percuma semua bilik, pengawal keselamatan 24 jam, meja depan 24 jam, simpanan bagasi, Wi-Fi di tempat awam. Masuklah ke salah satu dari 11 bilik tetamu kami dan tenangkan hati anda dengan pelbagai kemudahan seperti televisyen skrin rata, internet wayarles (percuma), bilik larangan merokok, penyaman udara, pemanas yang boleh didapati di beberapa bilik terpilih. Sepanjang hari anda boleh menikmati suasana yang santai dengan kolam renang terbuka, rumah urut. An African Villa adalah destinasi sehenti anda bagi penginapan hotel berkualiti di Cape Town. We loved our 3 night stay. This is a quiet, comfortable, and charming guesthouse. Excellent breakfast and many nice touches-- such as the sherry and port. Inexpensivechonor system for beer and other items. Good advice. Beautifully decorated. Nice clean guest house within walking distance (quite hilly) to many restaurants and about 10 - 15 mins from VA Waterfront. We loved staying at an African Villa - a real home from home, with very welcoming hosts, easy walk to nice restaurants and close enough to walk to the city (V&A is more of an Uber trip unless you want to earn a lot of steps alongside a busy road). Cindy, Keith and everyone there could not have been more helpful and we loved the little touches like the cake, port and sherry. Excellent boutique style accommodations, yet a B & B. Staff polite and helpful, breakfasts delicious. Room spacious, designer look and feel. Would definitely recommend! Great location with a number of top restaurants within walking distance. 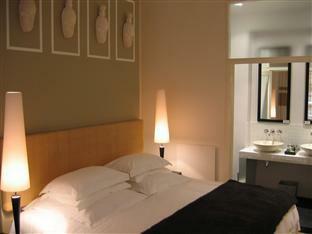 Individual, boutique hotel with large, bright, modern rooms, comfortable bed and power shower. Great hosts who simply want to help you enjoy your stay. I would definitely recommend and would not hesitate to book again. I felt right at home at the African Villa! Kaylah and Cindy were so warm and accommodating and helped me arrange my airport transfers and tours. The breakfast spread was healthy and hearty and the staff were friendly! Thank you for making my brief visit such a big hit, despite the cold misty weather. Hope to return to Cape Town and to the African Villa sometime soon! Good atmosphere, good location, very nice hosts. Amazing breakfast too! We had never stayed in a "guest house" and were not sure what to expect. We found an African Villa to be an outstanding property. We spoke with another couple who was staying there at the time we were and they had stayed at another property nearby and while it looked much more opulent on the outside they said it did not compare to An African Villa. We had a wonderful stay in Cape Town and would stay at the African Villa again if we return. The owners were extremely helpful in planning our excursions each day. At night they would recommend great restaurants either near the villa or out on our daily adventures. The room was well appointed and everything has been thought of down to last detail. We enjoyed breakfast in the morning and talked with other coulpes from around the world. I would highly recommend the African Villa if you travel to Cape Town! It was a beautiful place but was very secluded. The hotel was in the middle of nowhere even though we were led to believe that it was right in the middle of everything. We were also warned not to go anywhere because it is very unsafe. It was a perfekt holiday. We should habe staied longer. We had a very pleasant and comfortable stay at An African Villa. 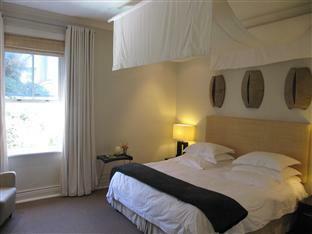 It's located in a neighbourhood less than 10 minutes walk to Long Street. There are also many lovely local restaurants nearby. It can be a little quiet and dark to walk back at night, so we either go back not too late in the evening or take a cab if it's late. The owners or operators of the hotel were very friendly. They were very helpful in giving us directions and helped us make some bookings for tours. We would definitely want to come back. We had a wonderful stay at African Villa, and would stay again. The staff goes out of its way to care for guests, and to help you to book any restaurants and tours. 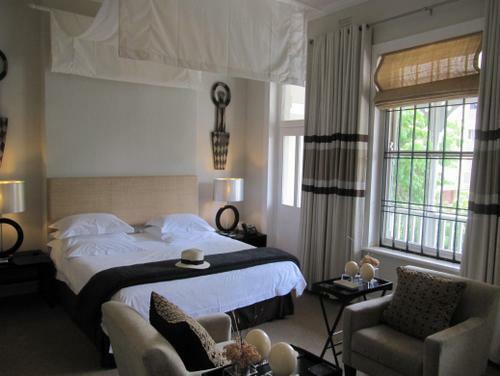 The rooms were very comfortable, had all the amenities, and the pool area was calming and quiet. Thank you so much! Absolutely amazing. Will recommend to everyone who plans to visit Cape Town.